I love hummus. The first reason is that it’s a very simple dish to make at home. Second because it’s very tasty and healthy at the same time. 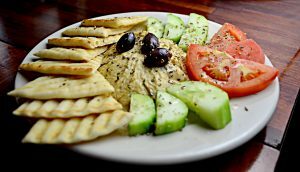 Hummus has high fiber content, so it will keep your digestive tract regular. It is a good way to get more fiber in your diet and we all know that fiber has many health benefits. 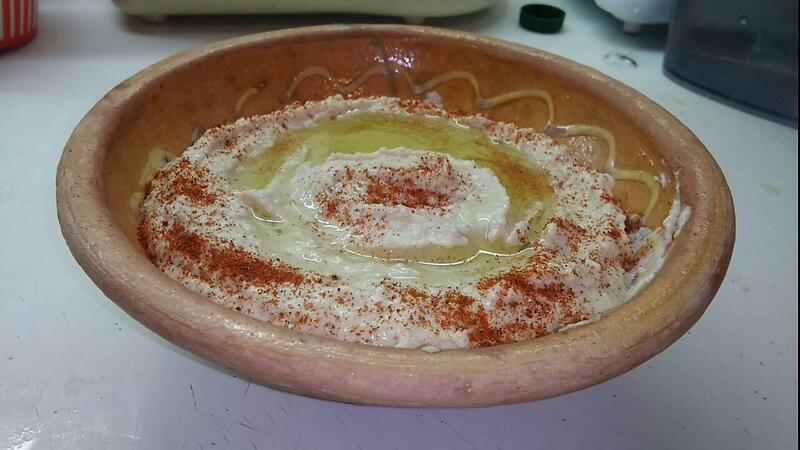 “Hummus” comes from the Arabic word which means “chickpeas” and it is an Arabic recipe. 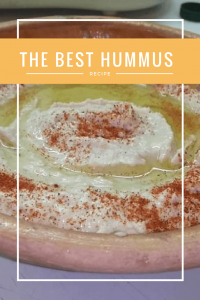 You can prepare it in different ways, with or without Tahini, spices etc. Hummus is a common part of everyday meals in the Middle East because it’s very healthy. 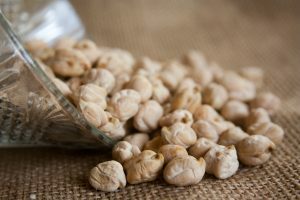 Not only high in fiber but chickpeas, which is the main ingredient of hummus, is rich in protein, B vitamins, Manganese and combined with the other ingredients, hummus is rich in Vitamin C, Iron, Zinc and Phosphorus too. 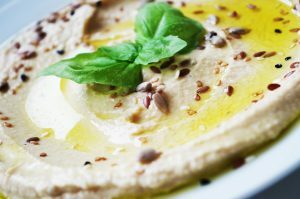 Hummus is good for your skin, bones and blood health, helping in lowering cholesterol levels and anemia, and also balancing your blood sugar levels. There are a lot of recipes you can find online, and every Arabic country has its secret. This is the recipe that I make. For this recipe, you will need a food processor. You can add more or less of the ingredients by taste. Also feel free to experiment and add more spices. I sometimes add ginger, black pepper, nutmeg etc. I never cook by a specific recipe. Also, feel free to add more olive oil especially if it is high quality extra virgin olive oil. And if you love lemon, add more lemon or Tahini and if you love garlic, add more than one clove garlic. 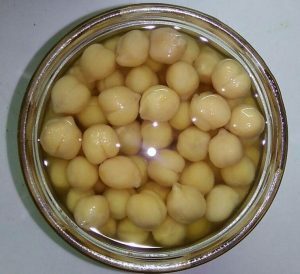 There are some tricks for preparing hummus and feel free to add more cold water if it is not blending well. First, put the Tahini and lemon juice in the food processor and process 1-2 minutes. This will make the hummus creamy. Add in the food processor the minced garlic, chickpeas, salt, cumin, and the olive oil. 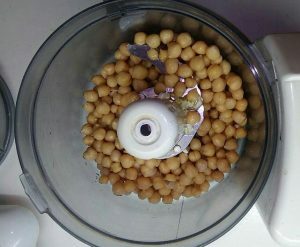 Process for 2 minutes and open the food processor to scrape sides and bottom of the bowl just to make sure there are no tiny bits of chickpeas. If your hummus is still too thick, add a small amount of cold water in the food processor until you reach the perfect consistency. Add more salt or spice to adjust as needed and if water isn’t helping with reaching the perfect creamy consistency, add more olive oil and process. The longer you process the creamier your hummus will be. I serve my hummus in a medium serving bowl. I sprinkle it with red paprika and pour olive oil over the top. Then I add olives, and pita bread or some raw veggies (carrots, peppers, cucumber). But feel free to serve it with crackers, meat, chips, or just put it in a sandwich.